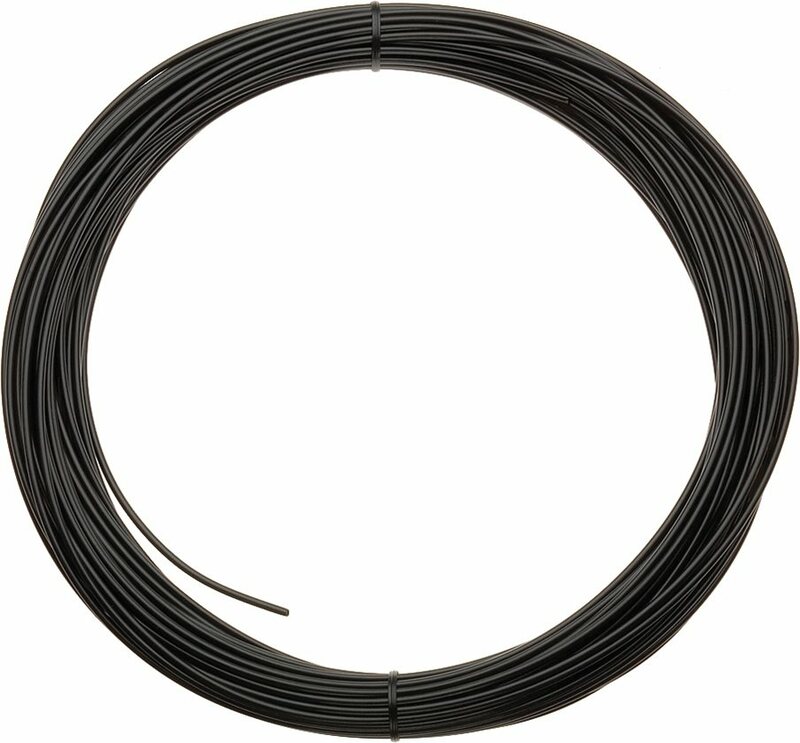 Jagwire black housing liner fits inside older style cable housing without Teflon liner. It can also be used as a sheath or frame protector where your cable runs exposed along your frame. Fits cable up to 1.8mm in diameter. Comes in a 30 meter roll. So you got your new bike home, and it's time to change the cables, but the internal routing has you pulling out your hair? No worries. BEFORE you pull the cable out, silde this stuff around the outside of the cable. As you keep pushing, it will push the cable back. Gently back out the cable, while pushing with this liner; eventually the liner will poke out with the cable. Pull out a few extra inches, tape to the frame on both sides, and cut off. Run the new cable through the liner, pull the liner out (maybe mark it for re-use next time), and count your blessings. You're welcome. Must have for internal cable routing. Slide a proper length of this over your old wire before you completely remove it and gracefully install your new wire without having to spend 2 hours fishing through a tube. GG. This will cover your cables, and that is about it. I wish it could be used to go over Jaguar's capends with tails. Too bad; you could make best use of this liner and create a sealed system of sorts. It is not the same liner for "between the stops" that comes in their kits. You can buy the tailed capends in 50 pc bottles but not the fitting liner. This stuff sort of misses the point, and a great opportunity. I bought this thinking that it was cable housing. It's not. I'm not sure what you use this for. I am looking for shifter cable housing. I understand it to be 4mm, rather than 5mm brake cable housing. Is this it? BEST ANSWER: this is not cable housing , it fits inside some housing. i used it to cover bare brake & shift cable on a 90s MTB. to try and keep dirt out & quiet cable slap, hope that helps.